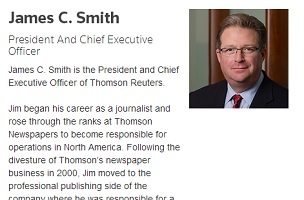 Chris Roush over at Talking Biz News has a copy of the email recently sent to Thomson Reuters CEO James Smith by The Newspaper Guild of New York. This latest example of payroll incompetence follows major errors in 2012 and 2013 when Guild-covered employees were either over- or underpaid by significant amounts, and were (again) not paid for approved overtime. Guild representatives also are reporting an increase in the number of individual payroll errors, particularly for overtime and time off. The Guild argues that these issues come at a particularly difficult time for Thomson Reuters staff and are affecting morale. The letter ends with a hint that perhaps the company should ditch the third-party payroll service altogether. We’ve reached out that service for comment. If they respond in a manner that is on-the-record, we’ll update the item below.